Master Virgin Media's powerful hardware with these tips and tricks. In the home TV entertainment market, Sky and Virgin have been competing with each other for years. Then came the rise of streaming services such as Netflix and Amazon Prime, and suddenly everything changed. To stay ahead of the curve, Sky launched the Q set-top box, which offers on-demand shows and a multi-room viewing experience. For while, it was the only next-generation box available and easily beat the traditional TiVo box offered by Virgin Media. However, Virgin Media is now taking the fight to its biggest rival with the V6. 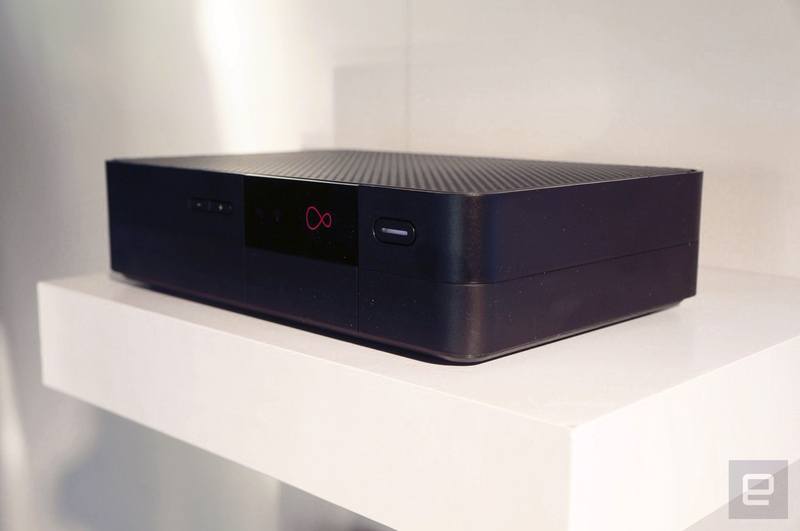 The V6 is Virgin Media's smallest, smartest and fastest TV box yet. It's half the size of the company's previous TiVo box, it comes with 10 times more power, 4K support, HDR output, an intelligent multi-room system and other cool features. Whether you already own one or are looking to upgrade, here's how you can get the most out of the V6 box. The Virgin TV Anywhere app, which is available for Android and iOS devices, brings some cool features to the V6. For instance, you can watch live TV shows and on-demand boxsets anywhere in your home. You just have to have to ensure your box is connected to a WiFi connection. As is the case with the Sky Q, you can also watch selected recordings around your home and offline. What's also neat is that you can set, cancel and delete recordings using the app, which is useful when you're out and about. While the V6 does come with a remote, you have the ability to control the box with the app too. It adopts a gesture-controlled system, so you can go through shows and menus seamlessly. To enable this, you need to make sure the box's standby settings are set as Connected Low Power or Always On. It can be pretty annoying when you want to record several programmes, but they end up clashing. You can avoid this situation, to a point, with the V6 as the box is capable of recording six shows simultaneously. What's more, you can do this while watching a seventh recording, or you can stream a show through a service like Netflix or Amazon Prime. You don't have to worry about memory, either. The 1TB box supports 500 hours of SD recordings and 100 hours of HD recordings. Like Sky Q, the V6 comes with a beefed-up remote. It uses RF technology, so you don't have to constantly point it at the box in order for it to work. That means you can hide the box away in a cupboard, as opposed to having it on show. It's pretty easy to end up losing technology, so you'll be happy to know that the box comes with a 'find my remote' feature. All you have to do is press a special button on the box, and the remote will start beeping. Sky has always been known for its large variety of shows, movies and rentals it offers, but Virgin is slowly catching up. With the V6, you can get direct access to the new Virgin Media Store. Here, you can purchase popular TV shows and movies. If you do end up downloading one, you'll be sent a copy of the DVD in the post as well. That's something Sky has offered for a while now, so it's great to see Virgin doing the same thing. There's also a kids' channel too, which blocks out adult-focused ads and shows. Unlike previous Virgin TV boxes, the V6 supports 4K television. That means you can watch and stream shows in Ultra HD. As well as Virgin content, the Netflix and YouTube apps also offer 4K support. To ensure that you get the best picture, all V6 boxes sport HDR. Multi-room support means you can start watching a programme in one room, and continue it in another. That's pretty useful if you end up leaving your living room to, say, make a cup of coffee and happen to have a TV in your kitchen. Recordings can also be resumed on a mobile device through the Virgin TV Anywhere app. Looking for a specific TV show or movie can be a pain, but this is something you can avoid with the V6's smart search feature. You can access it by clicking a dedicated button on the remote. Then you'll be able to search for content across all of Virgin's apps. SeriesLink+ is another useful feature available on the V6. It lets you look for TV shows across a variety of apps and see which episodes are available to download. You can also find out shows you've already recorded or downloaded, helping you avoid duplicate content.